Airboat Tours By Arthur Matherne Inc.
Emma Roberts said “See ya later” while bravely holding a baby alligator during her March 2015 tour. Chord Overstreet was also there and gave the swamp tour a thumbs up. 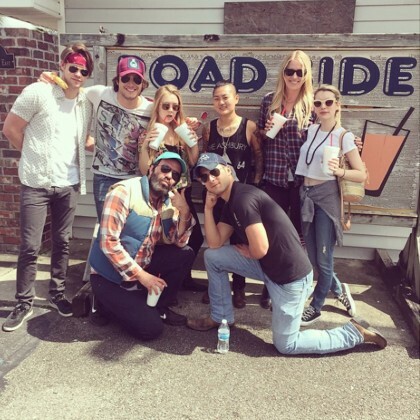 On the same March 2015 day Emma Roberts, Chord Overstreet, and friends took a swamp boat tour, they stopped off at Judd’s Roadside Daiquiris.